In honor of Beyonce’s 33rd birthday, we’re throwing it back to this street style gem from 2004. It seems especially fitting for the first week of September because what better way to kiss summer goodbye than with a ladylike dress, playful heels, and a pop of baby blue? HBD, Yonce! ​Wear a white statement piece to participate in a stylish protest against the end of summer. The classic, feminine cut of this dress will flatter your shape and accentuate your curves. ​For a thoroughly dramatic effect to top off your look, throw on this floppy sunhat. Nothing says “celebrate” like some pointy-toe polka-dot pumps! ​Pairing a timeless, flirty ensemble with a more structured and modern bag is the perfect way to add some dimension to your get-up. 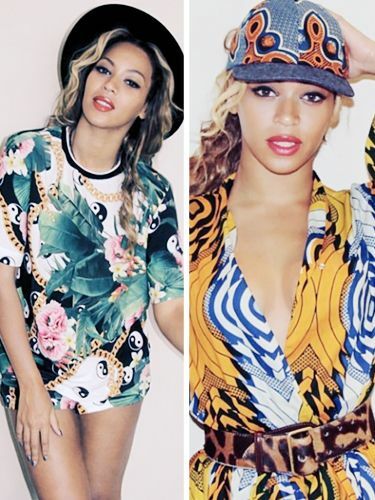 ​What’s YOUR favorite Beyonce fashion moment? Share in the comments below!